Experience nature afresh. A summer camp for boys and girls aged 8 to 12. Activities include climbing, building, handcrafting, swimming, gathering, cooking, running and making fire. Six days packed full of fun activities accompanied by a trained hiking guide and outdoor educator. Children need more contact with nature, a place where they are free to play, to laugh and to be loud. But they also want to be quiet and listen to the crackling of the fire, or to swim in a mountain lake to their heart’s content. Here they can fully exercise their desire for activity. The paraphernalia of our everyday life becomes much less important during a week in the wild. The natural landscapes of South Tyrol are a rich treasure trove of fun and adventure. Spending time in a natural environment gives children plenty of opportunities to develop, and allows them to experience how nature feels at first hand. Children are continuously searching for new experiences and finding solutions suited to their character. This 6-day summer camp is based at a plot of land by Felixer Weiher/Lake Tret. The nearby summerhouse serves as a supply point and emergency accommodation in bad weather. At all other times, the sky is our roof and the forest and lake our treasure chest. Children are attended according to Montessori educational guidelines, which focus above all on providing plenty of free space. Here they are free to play, create, climb, swim, make fire or simply do nothing. At this nature&adventure summer camp we will have an opportunity to get to know this unique landscape and environment through nature learning games and to strengthen our mutual trust. Parents are invited to a closing celebration on the final Friday afternoon. The children spend the rest of the week amongst themselves, with us as companions and pedagogists, in the heart of nature. 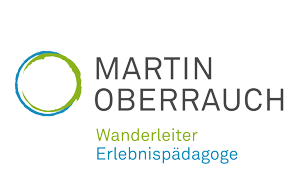 Martin Oberrauch: Nature and Landscape Guide, Outdoor educator, father of 3 children.